The San Jose Blog: Discover San Jose Retail Store Opens Today! 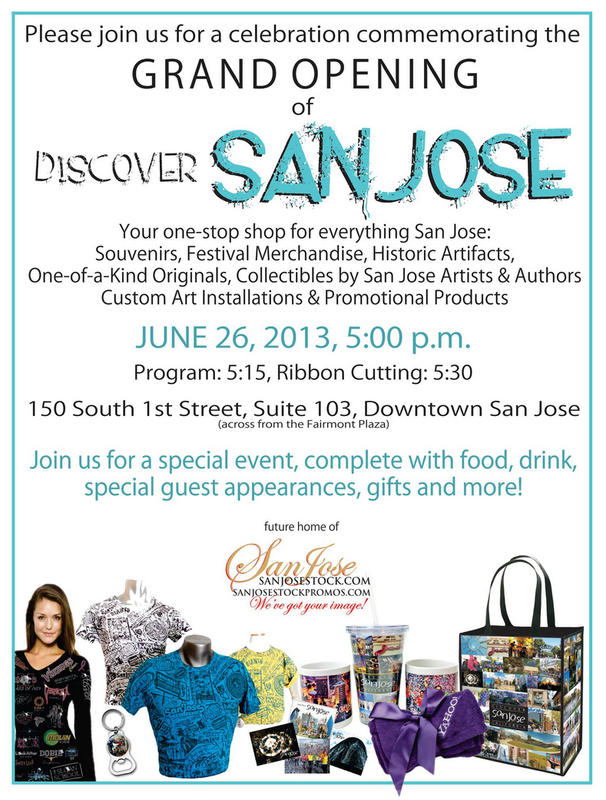 Discover San Jose Retail Store Opens Today! If this isn't a sign of the times I don't know what is. Yet another retail store is opening up Downtown, and this one is all about San Jose pride! The Discover San Jose store will be located at 150 South 1st Street across from the Fairmont Plaza and will carry souvenirs, historic artifacts, San Jose art, and more. They picked a really good central location and I'm sure store will do wonders in getting the San Jose brand out there more. The ribbon cutting ceremony and grand opening are both happening this afternoon and will feature free food, drinks, and gifts. For more information click here!